Faqeer Bagh Hussain Kamal (RA) mentioned in his Khutbaat that there is a detailed Hadith about Imam Mahdi (AS). After getting this hint, A detailed Hadith Mubarika comes to our knowledge from Hadith Book Sunan Ibn Majah. May be Faqeer Bagh Hussain (RA) referred to some other Hadith, but most probably this is his referred Hadith due to its detail. A detailed Hadith Mubarika about Dajjal, Imam (A.S), Hazrat Isa (AS) and many events which will occur in future. "He said, 'By Allah, I have not gathered you here to give you an exhortation or a warning. I have kept you here because Tamim al-Dari, a hristian man who has come and embraced Islam, told me something which agrees with that which I have told you about the Dajjal. He told me that he had sailed in a ship with 30 men from Banu Lakhm and Banu Judham. The waves had tossed them about for a month, then they were brought near to an island, at the time of sunset. They landed on the island, and were met by a beast who was so hairy that they could not tell its front from its back. They said, "Woe to you! What are you?" It said, "I am al-Jassasah." They said, "What is al-Jassasah?" It said, "O people, go to this man in the monastery, for he is very eager to know about you." Tamim said that when it named a person to us, we were afraid lest it be a devil. 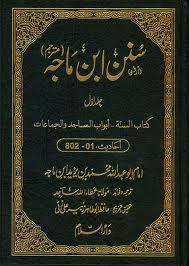 Bediuzzaman's discription about Dajjal as system. We do know that the dajjal (anti-messiah) knows the science of djinn and hypnosis very well. He had thus hypnotized the majority of people. Wasif ali Wasif " the person who will implement islam in Paksitan he will be the Imam"
Wasif ali wasif ne implementation ki baat ki hai lakin ghazi ne zahur ki baat ki hai.donoun mein zameen asmaan ka farq hai. implementation k liye zahur bhi pakistan se hona zaruri nahi. Arab aur khurasan se zahur wali donaun ahadith ghaliban sahah e sitta ki kutub mein se hain. What i understand that birth is a one place and zahooor is other place but on of this conected with Pakistan strongly.